These leather trousers are not only symbols of costumes, but these buttery soft leather trousers also embodies German patriotism! A statement of the extra class from Krüger-Dirndl. Decorated seams in the country-specific colours black, red and gold and the federal eagle was beautifully set in scene here. 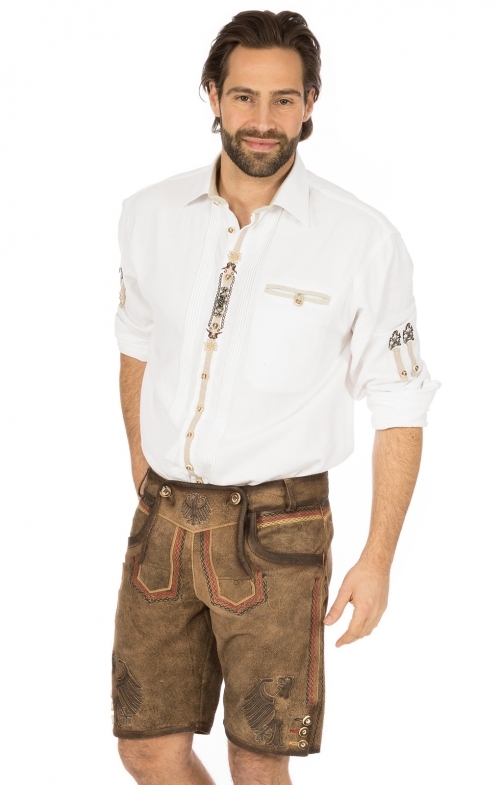 Knife pocket, gusset and stag horn buttons may not be missing in a traditional Lederhosen for the Oktoberfest.